Georgette Casimir is the creative talent behind Pea to Tree Events and it is her passion for organizing events that has put this service right at the top of planning companies. She provides such attention to detail that each of the clients that she works with feel like they are a celebrity couple. Pea to Tree Events aim to make your experience as stress-free yet memorable as possible. 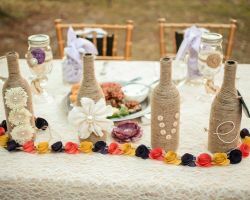 Georgette has experience with many cultures and traditions, which has made her certified to plan any kind or style of wedding. In the reviews of Event Sisters you will find nothing but praise for everything they did during the planning process and on the day itself. Couples who have used their services before are blown away by the time and dedication that Lisa and Elizabeth put into planning their wedding. 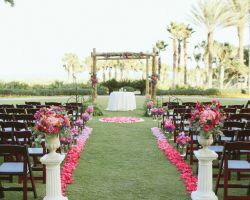 They have been Tampa wedding planners for almost two decades and you will certainly notice the quality of their work. They make sure the wedding always stays on budget, so you know you can trust them to give you the best for the smallest price tag. The expert team at Blush is dedicated to the smallest details of your wedding day. Each consultant, organizer and coordinator that works for this company believes that if they make sure each aspect is perfect then the day will be flawless. They can help organize anything including your: engagement, wedding ceremony, the party afterwards, a destination wedding event and even your honeymoon. For all of your wedding planning needs throughout Florida and anywhere else, you only need to contact the professionals at Blush. While there are a huge number of amazing features that come with hiring Grande Weddings it is the fresh approach they have to planning weddings that makes all the difference. 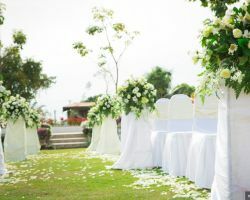 Barb Oehlerking, the founder of Grande Weddings, has a great eye for detail and she is able to make every aspect of the ceremony and reception fit the bride and groom perfectly. 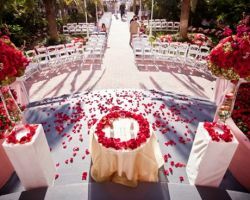 For the most talented wedding planner in Tampa, FL there is no finer service than that of Grande Weddings. The team at Blue Skies has a combined experience of almost three decades. 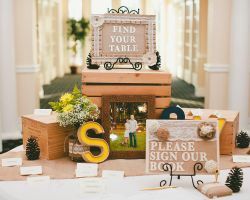 Over the years they have planned weddings, these experts have learned a great deal of techniques to make the day go perfectly. Blue Skies are able to find you great connections with local vendors that you wouldn’t be able to source yourself. There is a whole checklist of reasons to hire Blue Skies, but the main one is that this team provides the most professional service in the whole of Florida.